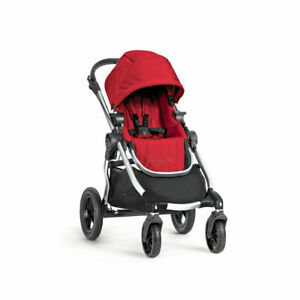 This versatile City Select stroller from Baby Jogger has been designed to help parents. This model comes in ruby, easily folds in one step, and has a sitting capacity of one. The stroller has an adjustable backrest and canopy, a leg rest, and handles, while it also offers multiple reclining positions. It weighs 35.55 pounds, comes with a basket, and has an auto-locking feature that ensures the safety of the infant or toddler.